Ahluwalia Law Offices, PC represents its community of clients throughout the United States with Dallas, TX as its main office. Our goal is to provide our client with a complete Suite of Services to Businesses, Individuals, and Families. Our Business Suite of Services include Employment Based Immigration matters such as H1B, entrepreneurial H1B, PERM, EB1A, EB1B, EB1C, EB2, EB3, L1A, L1B, E2, R1, Immigrant Petitions, Adjustment of Status. We derive satisfaction from taking on complex issues relating to these visas and are proud to take on and turn around our clients’ tough cases. For the Individual and Family, our Suite of Services includes Immigration matters such as Changes of Status, F1, B1/B2, H4, L2, E2D, R2, Green cards for family members and spouses and kids as well as Adjustment of Status, Removal of Conditions, Extension of the Permanent Resident Card, and Citizenship and Naturalization. We provide Texas family law representation in different areas such as Divorce, Child Custody, Child Support, Will and Estate Planning as well as Probate Matters. We help new businesses set up and be compliant with the initialization of the entity- as an example the level of capitalization to ensure the corporate veil, advise related to issuance of stocks and stock issue agreements, Board of Director minutes, By-laws as well as initial operating agreements for a Limited Liability Company (LLC), Shareholder agreements for a Corporation, Partnership deeds for General Partnerships, Limited Partnerships and Limited Liability Partnerships. Besides this, we step in to assist with all the agreements and contracts as well as internal documents that a business requires to grow and thrive without interference from misunderstandings with its vendors and its own employees. This area of our practice helps you, our client with contract drafting review and negotiation, where are squarely in your corner. We provide assistance to our Corporate clients in the areas of Department of Labor related issues as well. Our accounting team on site, is ready to help you with any accounting related matter and filings that you need initially and as you grow. We successfully represent our immigration clients nationally and globally and client satisfaction has remained our utmost priority. We thoroughly enjoy the practice of law and receive great satisfaction in providing best quality of work to our clients. Whether it is Corporate, Immigration or a Family Law matter, we throw our energy into every case and are not content until our clients understand the intricacies of their cases as well as we do. 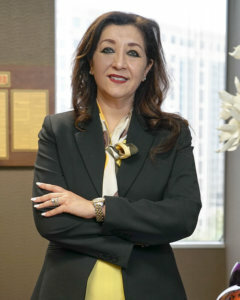 Pallavi Ahluwalia is the Managing Attorney and owner of Ahluwalia Law Offices, a leading boutique law firm known to many in the immigrant communities in Dallas and the East Coast. As an Attorney, Pallavi represents companies and individuals. She takes on a full suite of representation – representing companies with their corporate needs as well as immigration requirements. In this aspect, she represents publicly traded corporations as well as small businesses. Her niche is to arrive at workable business solutions for companies, investors and entrepreneurs. She takes pride in providing nuanced advice on H1Bs and takes on several hundred H1B cases every quarter. She advises immigrants in several categories of H1B, L1, EB1, E2, and EB 5 and a range of professionals from physicians, engineers, business owners and investors. As an active practitioner of Immigration Law, Pallavi is a participant in the immigration debates nationally as well as in the DFW community. She was recently interviewed on NBC and CBS TV stations as well as a host of radios across the nation, in her effort to help the media and people understand the current hotly debated issues of immigration. She has also been answering questions live on air on Dallas FM stations, Radio Caravan at 5:30 pm CST on Wednesdays, and on FunAsia at 10:30 am CST on Tuesdays. She has been active in having mainstream America understand fast hurtling immigration law changes, which she explains through her radio show. She spoke at the Presidents Day rally for the immigrants in February in downtown Dallas and extended support to immigrant families, impacted by the travel ban in January of 2016. She is an active blogger on her website, keeping her readers as well as listeners informed about immigration orders and updates from the administration. She is a frequent speaker at various events. 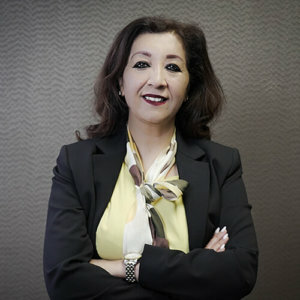 Her recent participation as a speaker at the Horasis Global Meeting in Portugal- speaking on “Modelling Sustainable Migration” – a co-panelist with other thought leaders, including the Prime Minister of Belgium, Mr. Leterme, has led to another invite to speak at their Global conference in 2019. She distinguishes herself as a thought leader, involved in the global community. She was recently on two panels speaking on EB-5 visa category in DFW. Pallavi has been selected as Best Immigration Lawyers in Dallas in 2016-2018 by Expertise. She was awarded the Melvin Jones Award for Humanitarian Services. She is an active participant in the DFW community, serving on the board of several charities, and she has been selected as one of the Top 50 Women Lawyers by the National Diversity Council, Texas Chapter. Pallavi Ahluwalia earned her Master of Philosophy in English Literature from India, and Doctor of Jurisprudence from Southern Methodist University.